of L. Joevon. The project is rooted in the novel, Seeds in the Concrete, and has evolved into an immersive experience that pushes the boundaries of the traditional novel reading process through new media. The platform is a mobile app that exhibits L. Joevon’s work as a cross-disciplinary creative wherein the interactive e-book format of his novel is available for consumption. 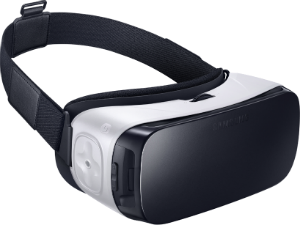 The app features an original album produced and recorded by the author which corresponds to the storyline of the novel, in addition to a virtual reality feature showcasing the studio recording process of the twelve-track album. mini-series and/or full-feature film expressing L. Joevon’s message on a mass media scale. while an extended synopsis is available on the SITC website. and she becomes the eventual mother of Lance’s first child. 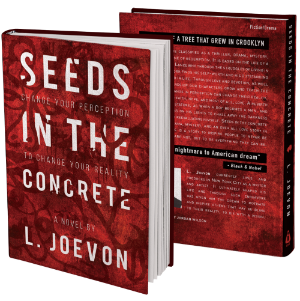 Seeds In The Concrete is getting ready to launch! You can preorder our book now. Sign up to get exclusive access to the music and virtual reality experience.